Disclaimer: The Audeze iSINE LX sent to us for the purposes of this review is a sample and does not have to be returned. Thank you to Audeze for giving us this opportunity. It really seems like the world of portable headphones and in-ear monitors have exploded with immense values, especially in the last year or so. Recently, I’d received Audeze’s iSINE LX for review and I must say, I am thoroughly impressed and enjoying what I am hearing. We have already covered the iSINE 20 and 10 in some detail in our previous reviews from myself and Marcus. This last year has been good to me, so many other great IEM’s out there now. I cannot wait to toss this iSINE LX into the gauntlet to see how it fairs against its bigger siblings. Let the games begin. Audeze made sure to drop in 3 sets of standard ear tips, a set of ear-hook guides and your choice of a 3.5mm cable option, and for an additional cost, an iOS cable with a dedicated DAC inside of it that can be used with Audeze’s special DSP application off the App Store. 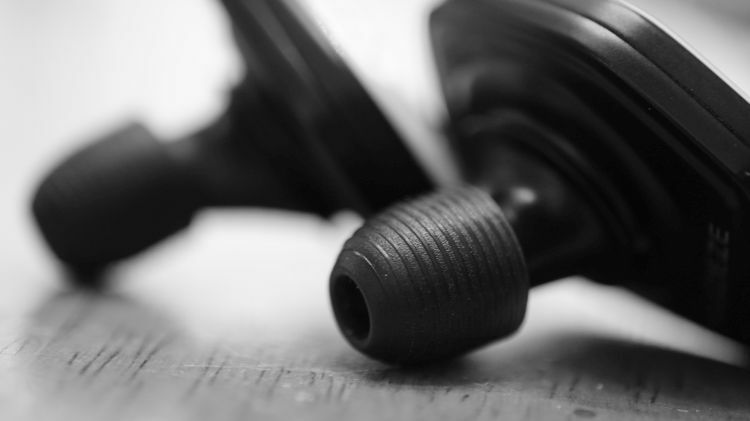 I highly suggest you invest in the Audeze Inner Ear Groovy Tips, which are just a little different and have offered me a more a secure and comfortable fit. You can also purchase an Accessories Kit with some extra tips and hooks for $25 more. The iSINE LX is a quiet plastic though with a magnesium frame. At $199, I suppose I understand this, considering the driver is of a planar design. I’d really love a pure metal version with a more premium look similar to my iSINE 20. Something hefty but not too much to cause excessive weight. T’was always a desire of mine with that regard. I am not sure I subjectively enjoy the white coloration of the faceplate area. I’d rather that be black and sleek looking instead, but, that’s just me and my preferences speaking. 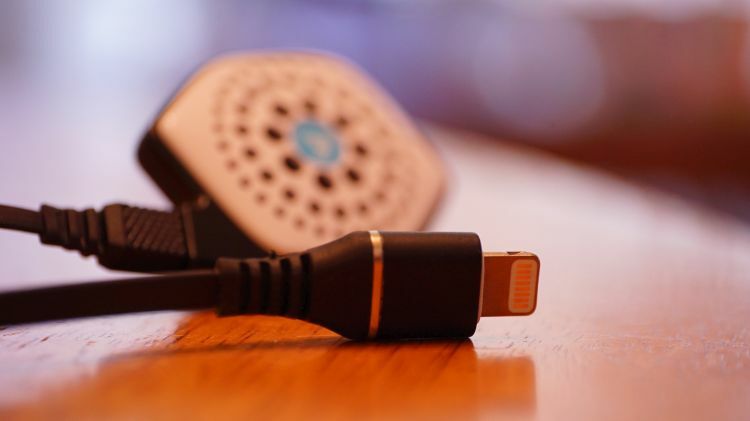 The cable comes in two options and both use a flat cable style. Both are lovely. On the iOS cable version, the adapter and DAC controller feel a little hefty and of a moderately good build quality for a headphone cable. Thankfully, it doesn’t feel cheap or lacking at all. Due to the size of the monitor itself, these hook guides are almost required, as I cannot hope to keep them in my ear while I am moving around without them falling out every few seconds. I’d really like a softer material for these. I am not sure what, or even how. All I know is that a thin piece of plastic on top of my ear that is pushing down on me is a little uncomfortable after a while and that I subjective do not enjoy the comfort after a short time now. Perhaps, my ears themselves became overly sensitive. 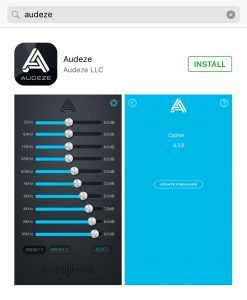 If you’ve optedfor the iOS cable, stop by the iTunes store and download the free Audeze application. Once you have it installed, opened it up and make sure the firmware for the DAC is updated, it should let you know if it needs to be updated in the settings menu. This application will give you a nice EQ-ish-like functionality from a top to bottom Hz-kHz system. Without it, you’ll need to rely on in-app EQ which is just all trash when using the 3.5mm cable. Stick with the normal null output of your music application (let’s face it, you are using Hiby’s free one, right?) and make sure to run the Audeze app with your customized settings for a nicer experience overall when using the iOS cable. Yes, it improves things audible and maximizes the capabilities of the iSINE LX to a higher standard than without it active. If you are into customized sound, this is your ticket to the ball game, so to speak. You’ll enjoy it, even if it is rather basic. It is better than nothing at all. What is there, is good and functions just fine. The problem is the response to EQ and what the drivers of the LX were capable of, not the actual application functionality itself. What that means is that I can raise the bass up a lot, near max, and not really blow them out or make it sound terrifying. That also means the iSINE LX doesn’t respond to quantity boosting much. I’d prefer much more response than this on the low end, which hardly responds to EQ and boosting in general. However, the treble side of the experience alters as you boost things up or down much more than the bass end. If you are into the higher end audio enthusiast circuits, you should know that Audeze is well known and regarded for exceptional bass prowess. In the case of the iSINE LX’s Planar Driver experience, which also is a driver type that is regarded for exceptional bass prowess, the experience is a little overly lacking in terms of quantity. Quality is not a problem. At the $199 level, this is a very smooth, clean and focused bass in terms of overall fidelity and style. I want more of it, simple as that. The sad reality is that even with Audeze’s application active while running certain music apps, I’ve found it uncomfortably unresponsive to alteration. Even with low-end areas of the frequency potential set to a boosted factor, the iSINE LX fails to offer a congruent and reflective bass quantity hike with regard to what I am seeing the bass values were set to. It just isn’t very responsive in that regard and that won’t be an issue for those who like a linear feel to their musical presentation. For bass enthusiasts, that could be an issue. This set is not for bassheads and I was really hoping for a guttural, “Planar” type of a bass depth. The iSINE LX sounds like a very smooth dynamic in that regard. Direct comparisons with the iSINE 10 reveal them to be pretty similar in quality here and down below. I could hardly tell them apart sometimes and with certain tracks. Yet, on the iSINE 20, bass texture and density feel of a higher heft and value that I’d prefer in the back of my mind when referencing the idea that this is a planar driver. 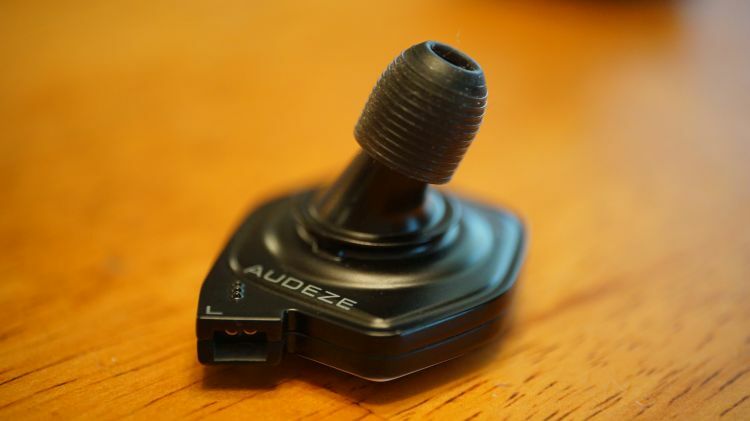 Audeze’s iSINE LX is a stage-forward feeling IEM. That means vocals and anything mid-centered will be lively, in your face sounding and very engaging. The LX is linearly setup in feel overall, so you don’t ever really get a sense of recessive nature in the midband frequencies coming at you. The IEM is, once again, very smooth feeling and that comes from the Planar architecture, at least in my opinion. While vivid in placement, the midrange can feel silky and buttery smooth when slow paced vocal tracks, such as those found in big band and slower Jazz recordings. If you like Sinatra, Amy Winehouse and your pick of a famous Jazz vocalist, I think you will feel right at home with Audeze products as a whole. At the $199 tier, the iSINE LX is a very good performer in terms of raw quality gifted to you. There are times where I am extremely happy with what I am hearing and, depending on the track, I am also unhappy with how the IEM handles not so nice recordings. I wouldn’t call this a forgiving IEM with regard to lower bitrate tracks that were also flat sounding and lacking a dynamism that I enjoy a lot. Harshness becomes an issue, despite the headphone being so smooth when the track is actually pristine, or even just normal. I listen to plenty of older Jazz recordings from Django, as well as loads of 30’s and 40’s Jazz singers. I have other IEM’s that handle these tracks with more style and finesse. Is that really an issue though from a consumer standpoint? Nope. 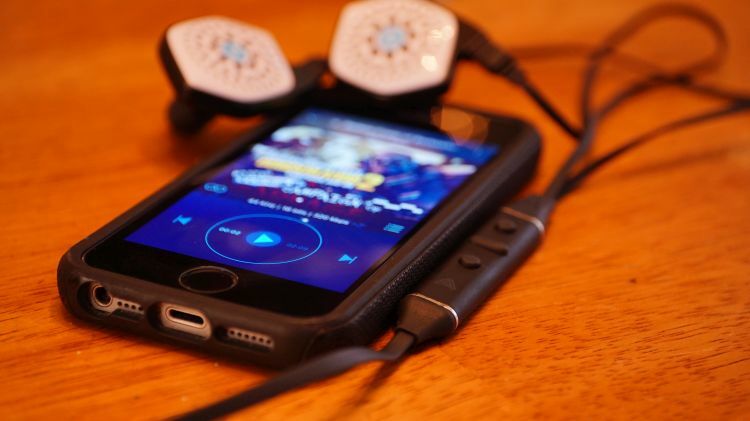 It is only an issue if you are a die-hard enthusiast and odds are good the iSINE LX is going to be the general consumers best option for a stepping stone into higher tiers of audio enjoyment. This is a great gateway into HiFi. 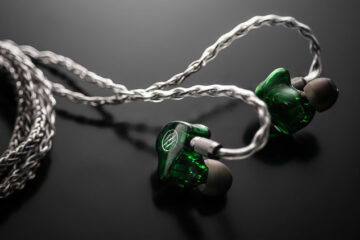 In fact, I can’t think of a better and more enticing IEM that would do the job properly beyond this iSINE LX for that in this pricing area, especially not for iOS users. Unlike the lower end’s lack of response to alteration and boosting, the treble end seems vividly capable of it in truckloads. Just a bit of a toggle upward results in more brightness, more impact and a generally improved physicality. On a totally flat and EQ-less setup, the iSINE LX is quite linear, as mentioned. That means there feels like there is an equal part bass, midrange and treble experience that your ear is able to pick up on. With some boosting, you can churn that frequency response graph line to a gentle U-shape. Which is good! Yea, I said it. Some people like more treble with a flatter midrange and bass. Some people like more treble and bass than mids. Some people like a midrange bump with vocals prominent and a reserved bass and treble. It is all user-preferences at play. You want a headphone to be response prone to EQ and boosting up and down, to add and remove if you need and have it respond very well. Otherwise, you are pretty much stuck with what you get and that affects the value and how well it can respond to certain genres. Directly compared to the iSINE 20, the LX feels less natural by a significant margin, but also more plentiful and engaging. Quality between them is very apparent, the iSINE 20 is simply better, more laser focused and of a noticeably higher fidelity. The iSINE 10 vs LX battle, though, is one that is a closer match up with the iSINE 10 narrowly exceeding the fidelity potential of the LX. Physical impact, kick and slam ended up resulting in one of the most fun and positive experiences I’ve had with a Planar headphone since the older Hifiman HE-500. This iSINE LX has good treble and it just happens to be fun too, when properly EQ’ed. And that is the issue, it takes some fiddling to get it right with your source. If not, you are going to get a still nice experience, but a flatter one that isn’t as engaging or interesting. If you are purist, don’t touch the EQ, of course. If you want a more music bite to things, more zing up top, then play with your source and see what you can come up with. The Audeze App lets you toggle the upper areas nicely on iOS and that is a wonderful thing. This IEM does not hit hard, but it also is not at all overly smooth. It is noticeably less smooth than the midrange, for example. And that still is a great thing because this is a portable headphone, meant for on the go. It isn’t really “Serious Audiophile tier” and I think it wasn’t meant for critical listening in the slightest. It seems meant for someone who wants a generally upfront sound, but one that isn’t overblown, perhaps even, one that is leaning toward bright treble response than the more smoothed out feeling bass and midrange below that. Options are great. This is a different feel than the iSINE 20 (the more expensive version) and it certainly gets brighter than the iSINE 20 (which again, is one of my favorite IEM’s) so don’t let that stop you if you enjoy gentle brightness up top, as well as some vivid kick and dynamic slam. Don’t worry about it being annoying, it isn’t. This reminds me of AKG’s K267, which if any of my readers can recall was my favorite over-ear portable of all time). Audeze did treble well on this iSINE LX and it keeps everything interesting and enjoyable. 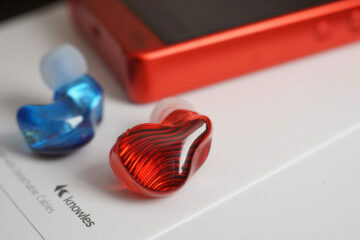 Staging is exceptionally large for an IEM, as it was in the iSINE 10 and 20 models from last year. Due to the semi-open design and 30mm drivers, the experience feels large and open, aired out and even helped a bit by the treble’s potential to be a bit brighter than the other two models. That results in a lighter, more free-flowing feeling experience. Quality on the iSINE 20 trumps the LX here and there are times when I feel like the LX is the more aired out feeling of the two. Side by side, I sense more width factor in the LX, but more depth of field and realism in the iSINE 20. I don’t think it sounds quite exactly the same as the iSINE 10 in that regard. Both the iSINE 20 and 10 feel the same in physicality and presentation shape. The LX feels a little wider, a little more rectangular, whereas the iSINE 20 and 10 feel more boxed and of a higher dimensionality. I stand by what I hear on the sense of air, the LX feels like it fluffier, airier. Sadly, the LX feels noticeably less dense than the iSINE 20. That raw physical heft is lesser, which lends more to the sense of staging sometimes when the treble is also brighter and more vivid. Staging is not at all affected when I boost my iSINE 20 up on the top end. Not much happens by comparison to what happens with the LX when boosted. For now, all three are still very large sounding for an IEM, if you want staging and imaging in an IEM style housing and don’t mind the size of the product, I can’t really see anyone going anywhere else right now but one of those three models. Right now, budget staging lovers, like myself, should be eyeballing the iSINE LX here at that $199 price tag and salivating. For what is there, it is very, very good in terms of imaging properties. Audeze has a budget champion in the IEM world now. This makes me happy. I have a lot to enjoy with this model and just a few things I am kind of worried about. The subjective aesthetics really bug me. I really dislike that white faceplate and the odd design of the exterior areas. I’d really prefer black, something not as flashy and odd. I don’t want a white faceplate that is contrasted by gorgeous black around it on the edges and behind it. But, again, that is totally my opinion. I mention that because in my review research and reading what others are saying it seems to be a general desire of the majority that white was not the color of choice but I digress. It’s fine. As for the sound of the product, even at the $199, there are plenty of massively responsive IEM’s out there that do much better and become more of a chameleon with EQ boosting potential. 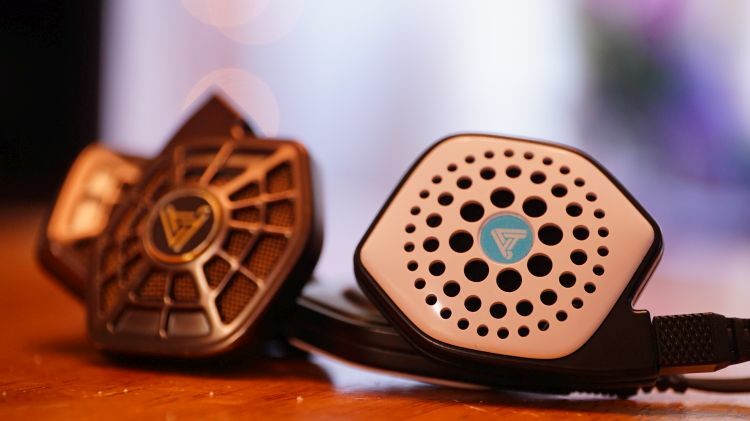 Audeze is a bass centered brand and was so with their LCD line. I feel like that is what their core is when someone things “Audeze”. Which to me, always was “The best for bass”. And with that, even with a Planar IEM, I need that to be very responsive to boosting if the product is relatively smooth and linearly setup and paralleling the midrange in quantity. I want to boost it, but I can’t nearly as I much as I’d like on the low end. I want great depth and rumble. The LX isn’t for bass-heads it is for bass purists at the $199 level who want a great, smooth and clean low end. Treble heads will be happier. Audeze has done great work here. For this price, it is a steal. It is half a step from the iSINE 10’s level, at least to my ear.